Credentials & Experience | Alexia Lewis R.D. 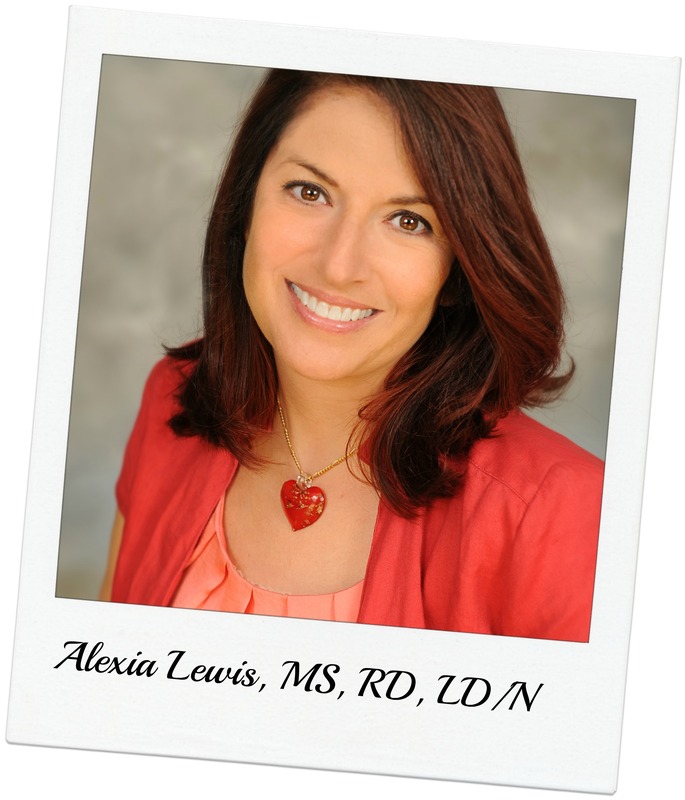 Alexia knows first-hand how to navigate the world of heart-healthy nutrition. She survived a heart attack in 2007 and decided to become a dietitian and certified health coach to help spread the word about how food choices and habits can influence health. She is a Registered Dietitian credentialed through the Commission on Dietetic Registration and Licensed Dietitian/Nutritionist with Florida Department of Health (license ND 6225). Her Certified Health Coach credential is from the American Council on Exercise. She holds a Master of Science degree in Nutrition & Dietetics and a Bachelor of Science in Health from the University of North Florida. From her previous career, she earned a Bachelor of Science in Business and Professional Management from Nova Southeastern University. For more information about Registered Dietitians (their qualifications, services, and how they differ from “nutritionists”), see the Academy of Nutrition and Dietetics pages: “RD = NutritionExpert” and Ways an RD Can Help You. Hint: Even a cocker spaniel can become a nutritionist! Alexia has worked with a variety of clients including people with cardiovascular disease, high blood pressure, high cholesterol, diabetes, anemia, food sensitivities/allergies, lap-band patients, student athletes, vegetarians/vegans, as well as healthy people who want to change body composition, are concerned about the additives in our foods and organic/sustainable eating, or who want to stretch out their food dollars. Alexia is founder of N.E.W. Motivation Coaching and also works with a company that sets up on-site health centers with client employees on healthy eating and coaching to manage health conditions or reach personal health goals. In the past, Alexia has worked in private practice with clients and as the University of North Florida (UNF) wellness dietitian. She has taught undergraduate nutrition students as an adjunct instructor at UNF and has taught: Food Fundamentals, Food Science Laboratory, Introduction to Human Nutrition, Nutrition Education, and Nutrition Counseling and Communication. She has also served as a preceptor for master’s level dietetic interns at the University of North Florida. She also writes and speaks about nutrition, food, health/wellness, and cardiovascular disease. What Alexia loves most about the field of nutrition is that there are so many different ways to practice nutrition. This Website is her way to continue to explore more ways to share her passion for food, health, and the science of nutrition. In her spare time, Alexia enjoys spending time with her husband and two dogs.